I was an adult before Amazon destroyed bookstores, and as a kid the only place you could get books was in… Bookstores. 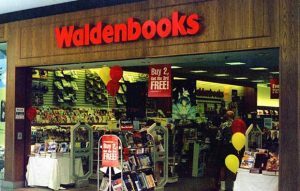 Back then bookstores were more than bookstores, you could also buy software and even, my favorite, GAMES! 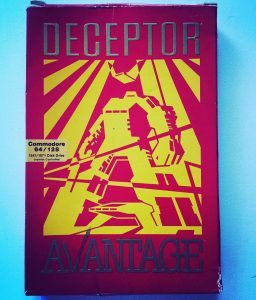 I won’t mince words, Deceptor is a weird game. It’s a maze game with shooting at the end of each level. I think whoever created this game was hopped up on goofballs or something because it’s totally bizarre as far as the artwork goes. Even the gameplay is a little wonky. It’s got some fresh music and a cool intro too. It’s not hard to try it out on your favorite C64 emulator, so I definitely recommend giving it a go. ← Did you ever play Rags to Riches?